Erin Ingoldsby has more than 24 years of experience in applied social science research, program evaluation, and evaluation technical assistance in diverse content areas, including child welfare, early childhood, juvenile justice, behavioral health, and social systems reforms. She brings to JBA technical expertise in research design and methods, measurement development, quantitative and qualitative analysis, and implementation science. 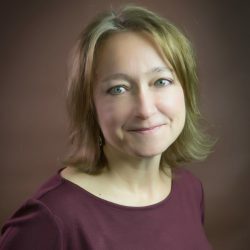 Ingoldsby serves as project director for two projects: Prenatal Alcohol and Other Drug Exposures in Child Welfare and Trauma-Informed Care: Connecting Research, Policy, and Practice to Build Resilience in Children and Families. She serves as a team lead for the Evaluation of the Capacity Building Collaborative and an evaluation liaison for the Technical Assistance on Evaluation for Children’s Bureau Discretionary Grant Programs. Prior to joining JBA, Ingoldsby served as lead evaluator of state, county, and community-based projects in Colorado, including a statewide initiative to improve family-centered service models and outcomes for children and families involved in foster care and other social service systems. She is a licensed child clinical psychologist and has a Ph.D. in clinical/developmental psychology from the University of Pittsburgh.